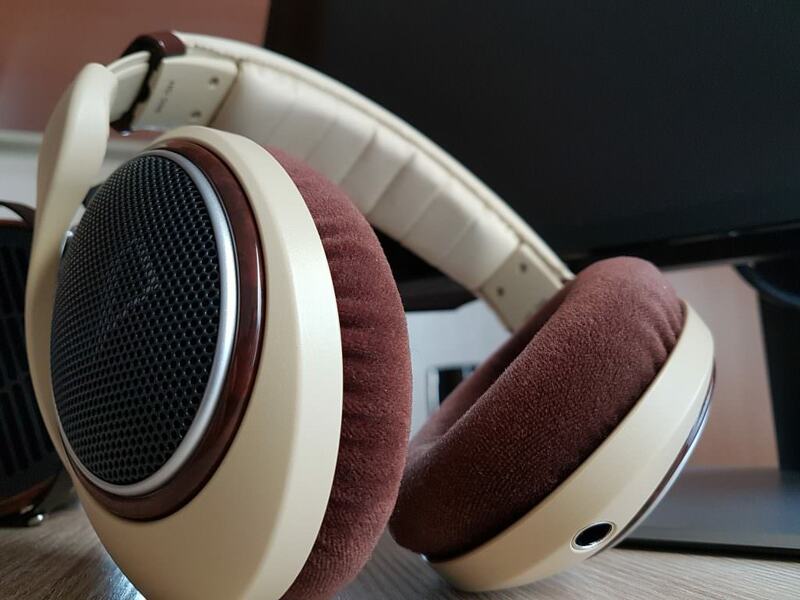 Sennheiser HD 598 Review – Best Headphones under $150 ? 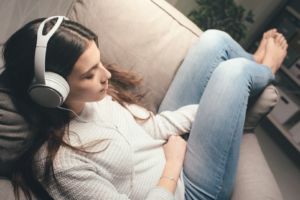 The Sennheiser HD 598 Over Ear headphones are the successor of the well-known HD 595 and they’re full-size open Hifi headphones intended for use at home. Released in 2012, it features Sennheiser’s E.A.R. (Eargonomic Acoustic Refinement) technology which should provide for better sonic accuracy and clarity. This technology can also be found in Sennheiser’s flagship, the HD 800. Furthermore, the HD 598 is equipped with lightweight aluminium voice coils, strong neodymium drivers and duofol diaphragms for minimal distortion. I was quite surprised when I first got these headphones a few months ago. They look a lot better in real life than they do on pictures. I really like the beige color in combination with the high-gloss wood accents on the headband and also on the outer parts of the ear cups. The brown velour ear pads match very nice and the headband is nice and thick with a pleather cushion. The HD 598 is mostly made out of plastic and I did have the feeling that it felt a bit flimsy. But the plastic is high quality and the HD 598 is in no way fragile. The HD 598 features a 10ft long cable terminated by a 6.3mm jack. It’s a detachable cable, so you can use 3rd party cables if you want to. The problem with a locked-in cable is that you run the risk of pulling the whole headphone of your head. Imagine someone tripping over the cable OR you forget you’re having the headphone on and you stand up. Get the picture? You really want that cable to come loose! Comfort wise the HD 598 has to be one of the most comfortable headphones out there. Weighting 270gr, I literally forgot that I had these on my head. There is no clamping pressure. The velour ear cushions are super comfortable. In my opinion better than the HD 650. The pleather padding feels very good. Most parts of the HD 598 are replaceable. Just go to the official Sennheiser website and you can order new ear pads, headband, cables,… Excellent! If you feel that the pleather padding somewhat feels annoying on the top of your head, just press the headband evenly against your head. This makes sure the padding is distributed equally over your skull. This happened to me because I don’t really press my headphones firmly on my skull. I’ve tested the HD 598 with the AudioQuest Dragonfly v1.2 and the JDS Labs Objective 2 Amp. I also used the standard 3.5mm headphone jack of my laptop. Although this is not really a headphone for portable use, I also tested it with my smartphones, the One Plus One and the Nexus 4. So how does it sound? Overall the sound is extremely clear and the soundstage is very wide. Maybe even wider than the Sennheiser HD 650, although not always realistic. Sometimes the placement of the instruments sounded a bit awkward. The HD 598 is a very neutral and balanced headphone, with maybe a little bit forwarded mids. I did tend to listen to music on low to medium volumes since I got the impression that on higher volumes the HD 598 ran out of steam on some songs. The sound felt kinda restrained from time to time, whereas the HD 650 had plenty of gas left in the tank. Okay, it’s not really a fair comparison. Just see it as a compliment to the qualities of the HD 598! Having an impedance of 50 Ohm I expected an improvement in using the Dragonfly and O2 amp over my laptop 3.5mm jack. There was some improvement. It sounded a bit more clear with a tiny bit more detail, but just a tiny bit. Even on the One Plus One and Nexus 4 the HD 598 sounded great. Although the volume on the Nexus 4 was less than on the One Plus One. Opinions are a bit divided on the HD 598 when it comes to its lows. Some say the HD 598 has no bass, but it all depends on what you’re used to and what you’re expectations are. People are used to a lot of bass. 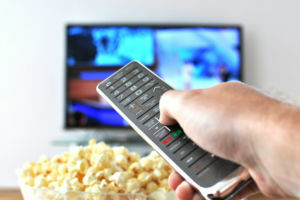 They hear it everywhere (movie theaters, clubs, home theater systems,…). The fact is that most of the time bass is elevated because frankly people like this. The lows on the HD 598 are NOT elevated. They sit nicely just below 0 dB. 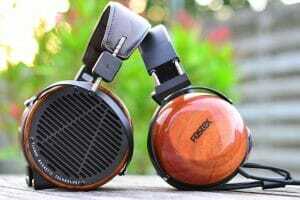 This does not give them the biggest and baddest bass, so the HD 598 may not be the best headphone for music genres that really emphasize heavy bass, like EDM, Hip Hop and R&B. However, the bass is there! It’s very detailed and you can really feel it in music that uses real instruments, like movie soundtracks and live performances. The mids, the mids, the mids… This is where the HD 598 really impresses! For this price, the mids are unbelievable. Female and male vocals sound crystal clear and as natural they can get. Especially with acoustic or slow pop rock music. It’s like you’re in the same room as the performer! 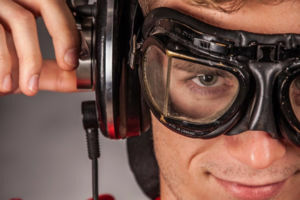 The HD 598 is not a dark sounding headphone. I think it’s one of Sennheiser’s brightest sounding headphones out there. Treble is well extended without being overly bright. Good to know is that the HD 598 has absolutely no sibilance, so there are no harsh “s” sounds. This headphone absolutely shines with acoustic songs like no other. Sometimes I just start up some random acoustic playlist on Spotify and get amazed every time! Oh and I don’t particularly like acoustic stuff… If you are an acoustic lover, you should definitely try the HD 598 out! I like it better than my HD 650 for that genre. Bam! I’ve said it! 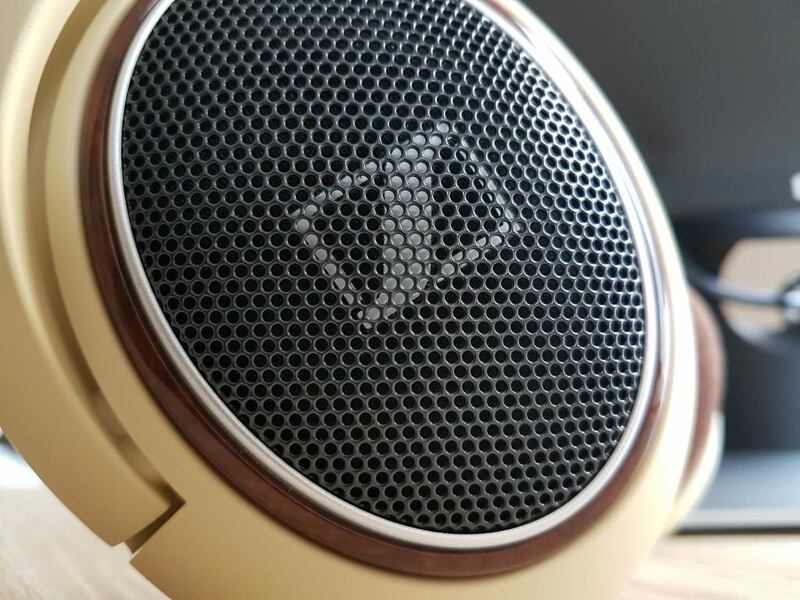 The Sennheiser HD 598 is an amazing headphone. And it’s even more amazing you can get these brand new for under $150. The looks will not please everyone, but personally, I found it refreshing compared to the duller looking grey Sennheiser’s. The comfort of these cans is great and I forgot on multiple occasions that I had these on my head. 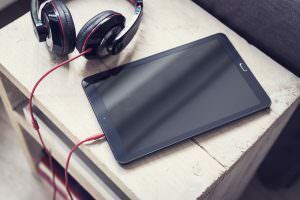 Although they are marketed for home use they sound remarkable good on portable devices. But I wouldn’t recommend them for this, because of the 6.3mm jack. You can use the 3.5mm converter, but it looks really awkward plugged into your smartphone… It’s not very convenient. If you really wish to use the HD 598 with portable devices, there’s still the possibility to order a 1.2m cable with a 3.5mm straight jack plug. Being an open headphone, you inevitably have sound leakage into an out of the headphone. So the HD 598 is best used for private listening sessions since you’re gonna disturb other people near you. The HD 598 is extremely well balanced for its purpose of being a hi-fi headphone and everything sounds very natural. Although not the best choice for EDM, Hip Hop & R&B, so if those are your genres, you maybe should look elsewhere. Does it require an amp? Although there is an improvement, I don’t think it is required to make them sound good. The fact that most of the parts are replaceable makes this a headphone you can enjoy for many years to come! So do I think this is the best hi-fi headphone under $150? Yes, I do! 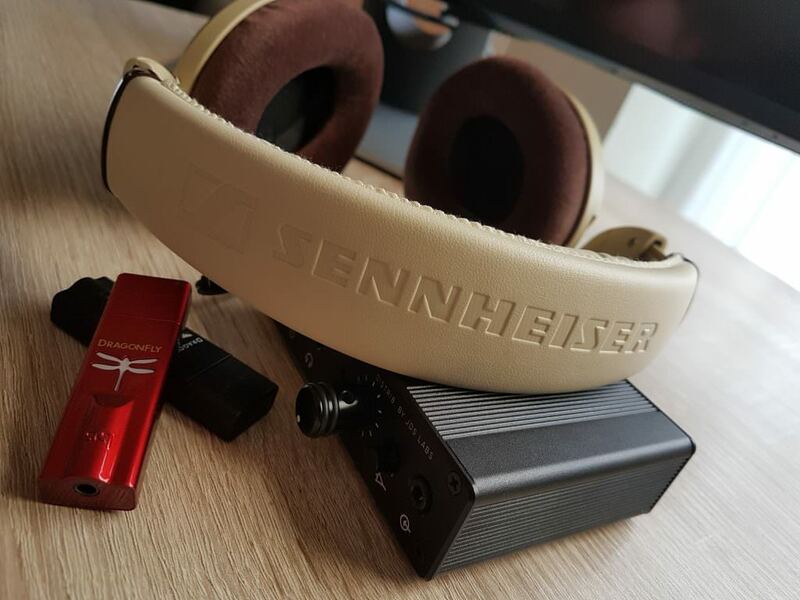 I hope you enjoyed this review and if you have any questions about the Sennheiser HD 598 or want to leave your own personal review, leave a comment below. The Sennheiser HD 598 are hard to beat if you’re looking for an affordable hi-fi headphone! 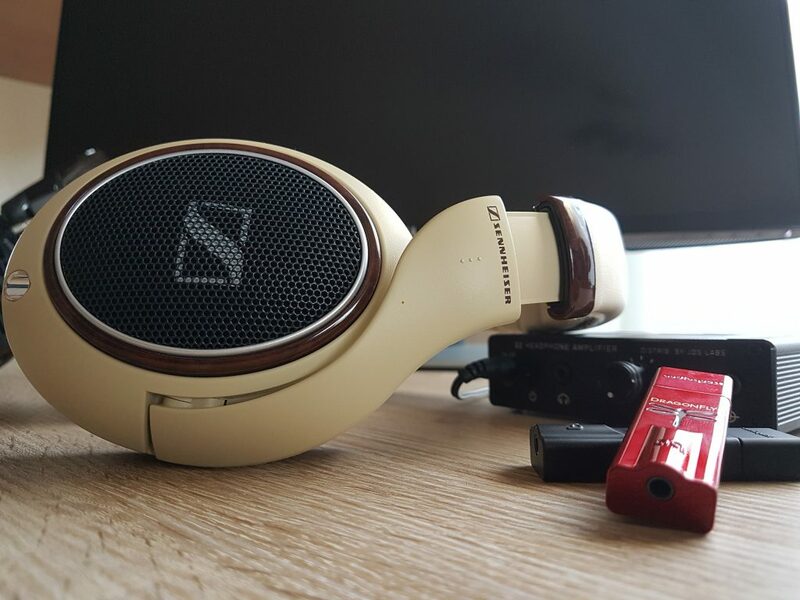 Thanks for your review on Sennheiser’s HD 598 headphones. I haven’t owned a pair of Sennheisers yet but I know my Dad really loves his! Just wondering, do they come in any other colours? Or is it only the beige and wood trim? Also, how much do these cost? These are amazing headphones and since a few months there is a Special Edition availabel in the standard black/grey color. It looks amazing and I was tempted to get them 🙂 The HD598 is available for under $150 and the HD598SE costs a little bit more, around $165. A great review that is informative and very detailed. 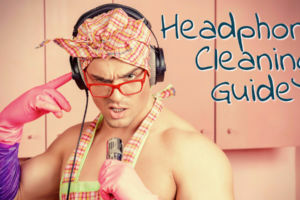 I like that it is coupled with images of the headphone so that readers like me know what the headphone looks like. On a side note, the name of the headphones is quite a mouthful. Haha. I like the colour and the outlook of the headphones. These are very nice looking! I love the color, look and feel of the Sennheiser hd 598 right out of the gate. I’ve actually been recommended these headphones before, so this review stands out like a sore thumb! Great sounding review and the comfort of the inner ears looks so nice and appealing. The fact that you’ve field tested and broken down all of the frequencies is amazing work. Thanks for all the time and knowledge Jurgen! Hi Kitty, these are more suitable for home use. I’m afraid in a loud factory these won’t do you any good. Best to check out some closed headhpones for that. this was an awesome review! I lost my skull candy headphones recently and have been checking out what my option would be to replace them, and this seems like a good option for the price. I like how you broke down what to expect, and it is clear you know what you are talking about. Now I just have to hide them from my boyfriend as he’d likely be jealous! Having not been in the market for headphones in a long time, the Sennheise HD 598 looks very impressive next to my old ones. I like to sit and listen while others are in the same room, you stated that some of the sound does leak out and others can be annoyed with it. Is there another example that has better single person listening capabilities. Hi John, yes they will leak sound out, but als let sound in. So you’re gonna have to look into closed-back headphones. The Audio Technica ATH-M50x is one of the most recommended closed headphones, and it’s under $150. If you’re willing to spend a little more also check out the Audio Technica ATH-MSR7. I just read through your review for the set of Sennheiser’s. I do have one question though. 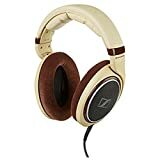 Would you have any idea whether or not they would be a good set of headphones for recording purposes? I’ve had limited experience with different headphones recording & mixing, and do believe the difference is like night and day. The HD 598 is pretty neutral, so you can use it for this purpose. If you want an even more neutral sound, you could also look into the HD 600. Hi Melinda, I agree. The Sennheiser HD 598 is an amazing headphone and for this price hard to beat. What an amazingly comprehensive review. 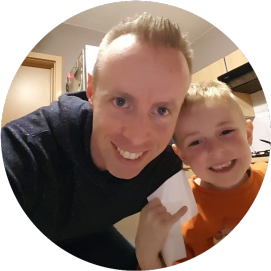 My son pays a lot of online games and his birthday is next month. 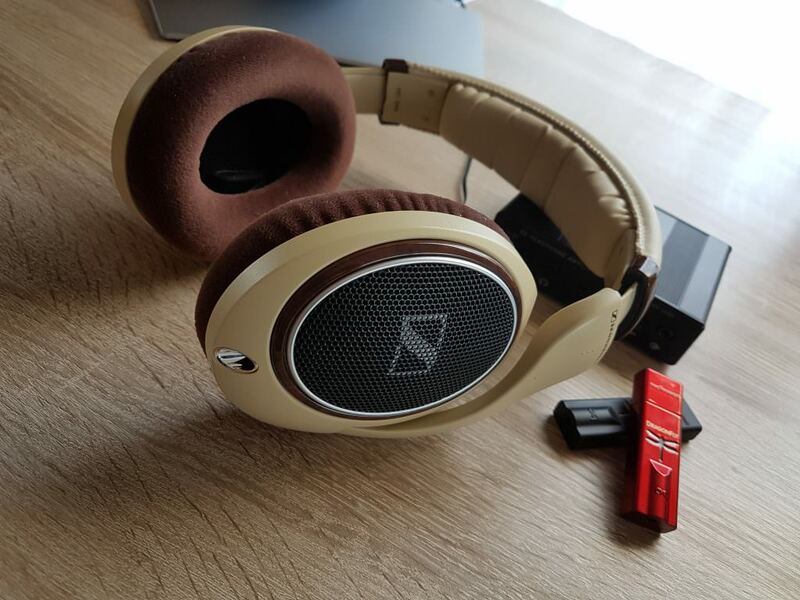 Do you think the Sennheiser hd headphones would be suitable for gaming? Awesome review! I’ve always been on a constant lookout for quality headphones at an affordable pricepoint, so this a pleasant one. I’ve always found Seinheiser to be a quality brand versus the oversaturation of Monster and Beats. Seinheiser feels like the purists’ headphones to me. How does it fare when used for gaming, though? I figure the mids would be where it shines, so is it safe to asume clarity in dialogue and ambient background music? I didn’t really get into the gaming aspect in my review, but let me tell you this. They are awesome for gaming. I play some Counter-Strike from time to time and with these headphones I really have a tactical advantage. Because they sound so crisp and have a wide soundstage, I can hear people sneak up to me much easier than before. The sound of guns firing seems so realistic and explosions really give a big impact. But also with other games, you get more involved, because the music just draws you in, you know. This is EXACTLY the article I have been looking for. So many of these reviews take you to products that cost a fortune. Others review those headphones which are so cheap that they fall apart after a few weeks. You have picked exactly the right amount for me to spend and I am grateful for your time in wiriting the article. Which ones would you purchase if you only had $100 to spend? You are right Nicola. A decent pair of headphones don’t have to cost you a fortune! To answer your question. I would really look into the Sennheiser HD-280 PRO Headphones. They are just under $100. Hi Jurgen, great review on the Sennheiser HD598 headphones. I don’t use headphones as often as I use to in my younger years but these sound like awesome ones. Listening to some good old Pink Flloyd, Moody Blues, Neil Young with my headphones on sitting in front of my stereo with a beer (or two or three…) was the best therapy I could have gotten. 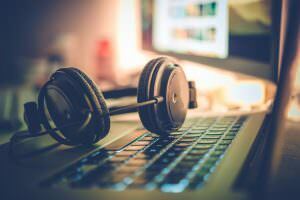 Listening to music through a good set of headphones is a totally different experience then without! Hi Jurgen great review for these headphones. The color is a nice change to the dull grey ones. Keep it up! Great review on these headphones. If I had the extra dough I’d pick them up. I’ve used Sennheiser headphone on all my production and audio engineering projects since I qualified several years ago. 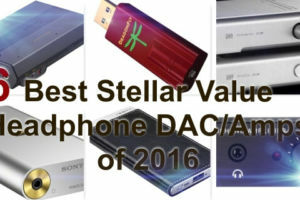 For the price their quality and stereo image is second to none. 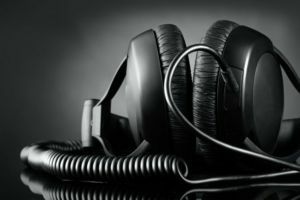 Great article – I would always recommend newcomers to music production to look into Sennheiser first as an option.